At The Lord Clifden, we house something for everyone! If one of our guest ales, a traditional favourite on tap or bottled world beers doesn’t tickle your fancy, we also offer our very own UAB lager in both pints and schooners. Serving fresh food from local sources, the diverse menu ranges from pub classics, vegetarian delights to daily specials. Pop in and see what’s fresh today. 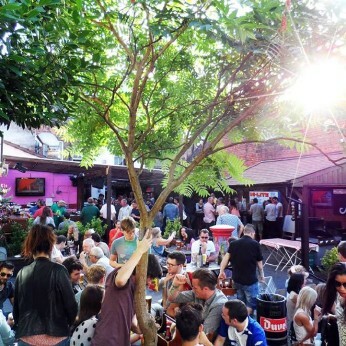 Showing all the live sporting action on 6 large screens in HD and 3D, seasonal outdoor BBQ, table football and Ping Pong, we believe, The Lord Clifden boasts one of the best beer gardens in the City centre and is a must visit if your looking for a City getaway.